Natural Gas vs Propane – Which gas fire pit is right for your home? Gas fire pits have many advantages. They are easy to use, burn very cleanly, and require less maintenance than wood burning styles. There are two gas options available – propane and natural gas. Before buying a gas fire pit, you will need to decide which fuel source fits your lifestyle best. Below we’ve listed the benefits of propane and natural gas. 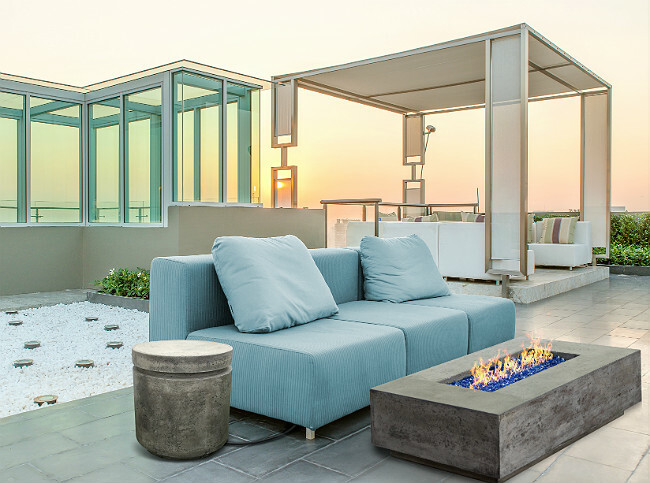 Propane fire pits are very easy to use and require minimal installation. You can simply hook up a propane tank to the fire pit, check for leaks, then turn it on. Most propane tanks are small and portable, meaning you can move the fire pit from place to place. If you have a large propane tank on-site, you can run a gas line underground that connects to the fire pit, to make it a permanent part of your outdoor living space. If seeing the propane tank is a concern for you, not to worry! There are many styles available that hide the tank from view. 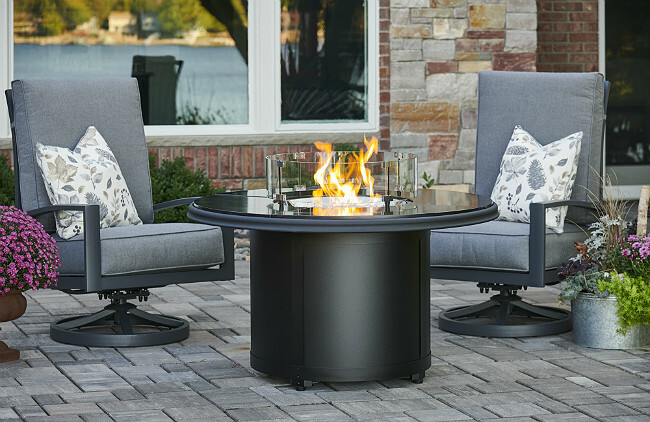 Our most popular style is the “hidden tank” fire pit. Hidden tank fire pits house the propane tank directly underneath the table and often have a door on one side, known as an “access door”. This door allows you to easily reach the propane tank. Styles that can’t hide the tank underneath, require it to be stored outside of the fire pit, usually within 10 feet. In this instance, a matching tank enclosure may be available, such as a side table, to hide the propane tank from view. Tank enclosures are a great option if you want to have a functional accent piece that coordinates with your fire pit. Natural gas fire pits are a great option if you want to add a permanent fire feature to your backyard. They do require a permanent gas line to be installed. If a gas line is not already available, you will need to hire a professional to install the line and hook up your fire pit. 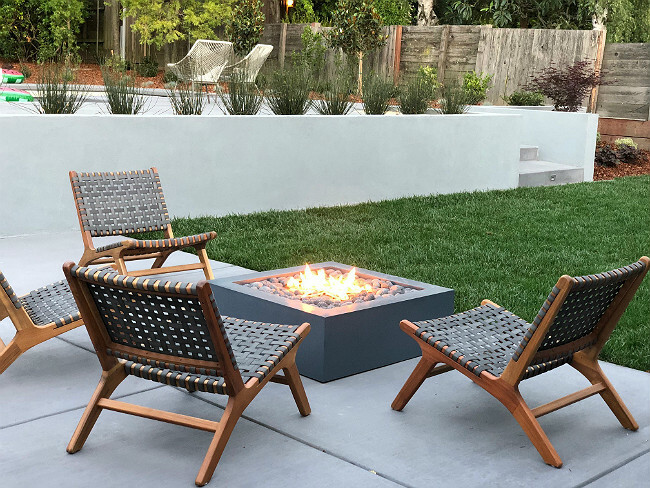 This might sound time-consuming, but once the gas is connected, your fire pit will have a constant fuel source. You will not need to refill a propane tank, saving you time and money. You can simply turn the fire pit on, sit back and relax, and never have to worry about the fire going out. A constant flow of gas also allows you to use more fuel at once to make a bigger fire and create more warmth. Overall, the maintenance of a gas fire pit is very low. You don’t have to worry about kindling a fire, maintaining it, then making sure it has been sufficiently put out at the end of the night. You also don’t have to keep a bunch of firewood on-hand. You can start and stop the fire whenever you want with the simple flip of a switch, or the turn of a knob. You’ll literally have a roaring fire going within seconds! Read our top fire pit maintenance & safety tips to keep your fire pit burning for years to come! Is it safe to use a fire pit under your covered patio? Here's everything you need to know. 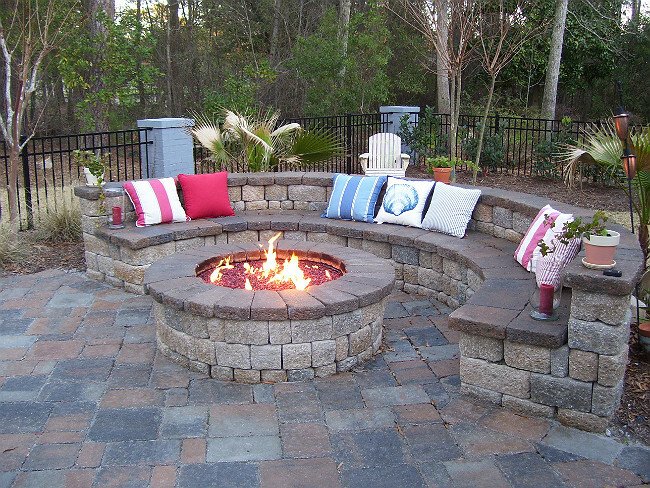 Check out this gorgeous customer spotlight to see how fire can enhance your outdoor space!